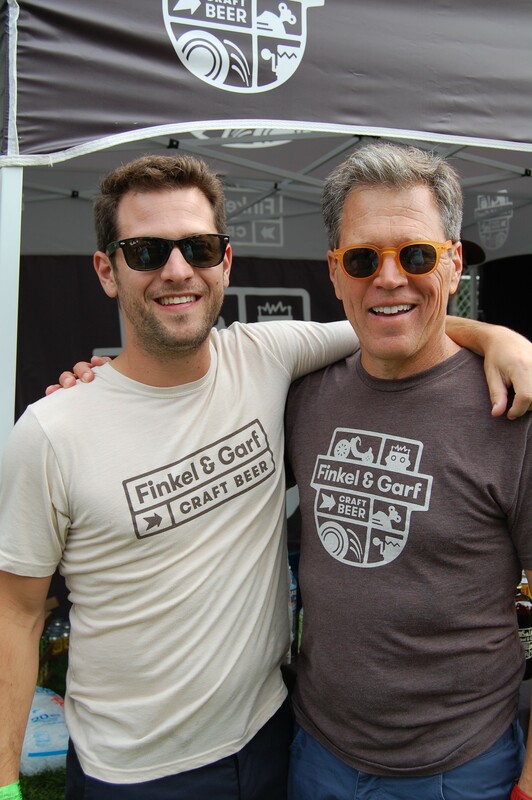 This is the motto or modus operandi for the Gunbarrel brewery Finkel & Garf established by father-and-son duo Eric and Dan Garfinkel. Drawing on themes from his childhood in the D.C. area, where his father ran a toy company, Dan and his father Eric set out to create beers they enjoy drinking – where the running theme is not to take your beer – or your life – too seriously. In the spirit of ‘Play Often’ we arrived with our own version of Bravo TV’s “Plead the Fifth” featured on “Watch What Happens Live” with Andy Cohen and put Dan in the hot seat. Dan was given 3 questions but he could only “Plead the Fifth” for one; but the catch is he didn’t get to hear all questions before answering. Question 1: Who is your dream customer – anyone dead or alive – that you would want to pour a beer for? Answer: James Dean – he was an international icon with a unique look on life. He was known for having a good time. Question 2: Our version of Marry, Shag, Kill – Who would you: a) Want to share a beer with; b) walk a day in this person’s shoes; and c) kill? Options were: Gov. Hickenlooper; Adam Avery of Avery Brewing and Donald Trump. Question 3: What was the worst beer you’ve tasted that was brewed in Boulder County? Answer: I could answer this one of 2 ways; I could Plead the Fifth – or – I could say that one of our first batches of Cream Ale did not turn out right in the beginning, and that was pretty nasty. 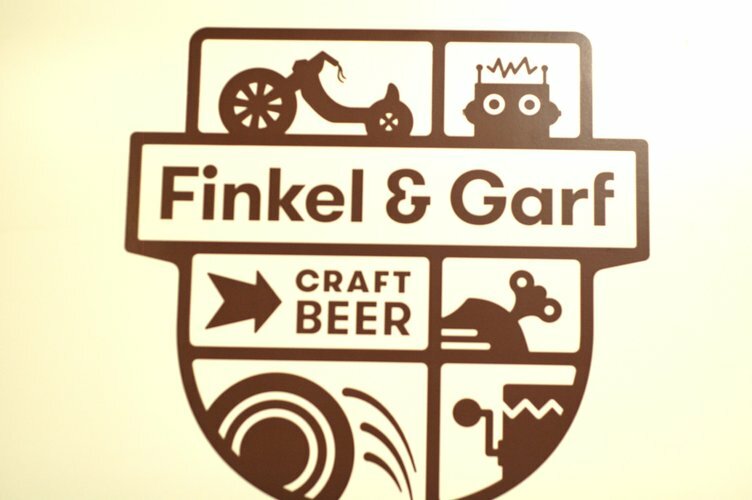 If part of your ‘gameplay’ includes drinking high quality craft beers, expect the unexpected at Finkel & Garf. Not only are their beers not intended for the most critical BJCP judges (despite taking home 3 silver medals at the 2015 Denver International Beer Competition for their Lager, Oatmeal Milk Stout, and their IPA), but Dan and his team have come up with some pretty unique ways to enjoy your beer. First off, Junk Food Pairings are offered for just about everything on tap. Pairings range from Corn Nuts to Vienna Sausages to Oatmeal pies. Instead of pretzels, the bar offerings include one of my childhood favorites – Tootsie Rolls (which I can’t eat anymore due to annoying TMJ). 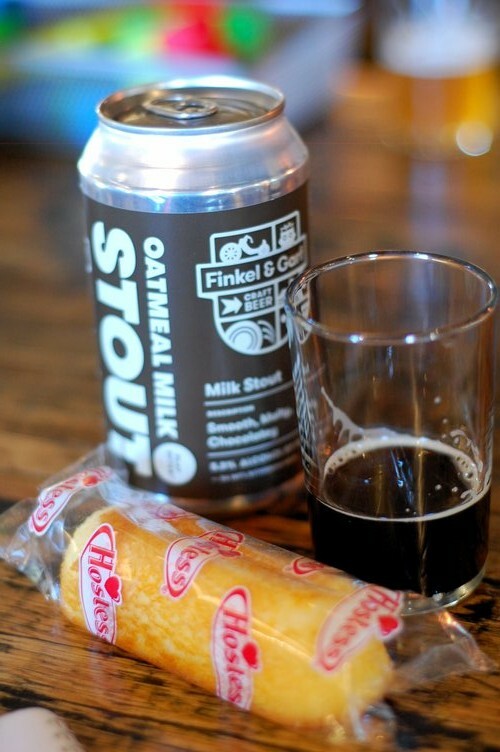 I tried the Oatmeal Milk Stout paired with a Hostess Twinkies dipped in it. Even the most sophisticated beer snob would agree – that’s a pretty rad combo! Bartender Sarah Stone says she prefers Oatmeal pie in hers. Either way, it’s worth every calorie! If junk food isn’t your thing, any of the signature styles are sure to hit the spot without overwhelming. Dan explains their goal is to create drinkable beers such as their Lager, which are not created to intimidate even the most timid craft beer connoisseurs. Offerings include a Lager, IPA, Wheat Ale + Peach Puree, Rye Saison, Imperial Red, Oatmeal Milk Stout, Pale Ale, Dry Hopped Amber and my personal favorite Cream Ale. Each of the 8 unique styles are canned and available at retail locations throughout the front range corridor and feature their nostalgic branding designed by Boulder’s Cast Iron Design. Dan explained the Cream Ale differs from the classic definition of the style, and is brewed with orange peels from Savory Spice in Boulder. The result is a bright, orange flavored ale with corn adjuncts, (think candy corn) which creates an ultra creamy mouthfeel with the same low to medium pronounced hop bitterness expected from a traditional cream ale. I am confident this beer will satisfy a wide range of palates. Don’t leave without trying a signature Mixed Beer Shot – I would recommend the Root Beer Float which consists of Oatmeal Milk Stout (a delicious and smooth example) with house made root beer; or the Smooth Hopperator which is IPA mixed with Cream Ale. Also, One-Off Wednesdays happen every Wednesday at the taproom and features a Finkel & Garf beer with a twist like their Gingerbread Red, which was Imperial Red mixed with Peach Wheat and cold-pressed ginger with a dash of cinnamon. See Facebook for more. Big Wheel = Go places. Wind up car = Let it go. Finkel & Garf operates their 15-barrel brew house and taproom north of Boulder, just off Lookout Rd at 5455 Spine Rd. They are one of many stops along the Boulder Ale Trail. They will be celebrating National Pickle Day with their pickle-and-beer pairings and “all things pickle” on Saturday, Nov. 14.